Expanded Polystyrene (EPS) is a rigid, light-weight, closed cell foam plastic. EPS provides high insulation values, high compressive strength and excellent long-term durability, making it an ideal material for many applications such as building insulation, geotechnical fill-material, and as component in floatation devices. We process Expanded Polystyrene (EPS) from its resin (a small bead resembling sugar). The resin contains pentane that allows each bead to expands up to 40% of its original size by adding steam. 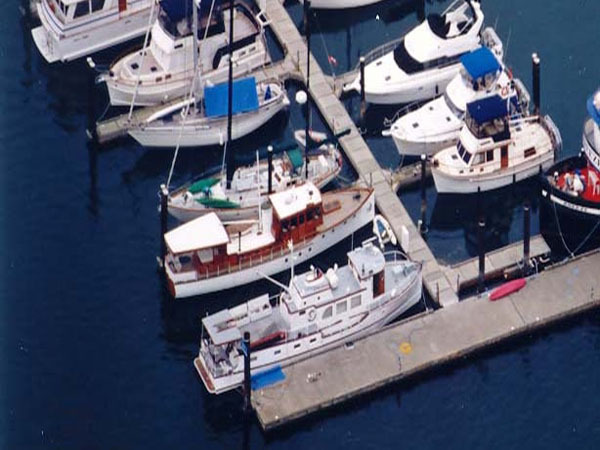 The EPS can be molded into a variety of shapes: large blocks that can be cut into cost-effective insulation boards for roofs, walls, and floors, geofoam for roads and lightweight voidfill in landscaping, floatation components for marinas, and detail work on buildings. Mansonville Plastics EPS products are marketed under the trade name Korolite®. Styrofoam® is the Dow Chemical Company's registered tradename for eXtruded polystyrene "XPS" which requires HCFC's to produce. Many times "styrofoam" is incorrectly used to describe Expanded Polystyrene "EPS" products. What is the difference between EPS and XPS? The most notable difference is that XPS cells are sealed off causing a lack of drying capacity, if the foam was exposed to water for extended periods. EPS however can be dried out. And EPS does not, and never has used CFC's or HCFC's, which are harmful to the ozone layer. XPS offgases the HCFC over a long time (losing R-value in the process), whereas the pentanes in EPS are replaced by 100% air within a few months after manufacture. What are the advantages of using Korolite® EPS? ETL-Intertek report for Fire Test of Building Construction and Materials for 2 hour rating on K-Lock F2 Mineral Wool Panel in accordance with CAN/ULC S101-M89 Standard Test Methods. CFIA Canadian Food Inspection Agency approval on refrigeration white DB2177 from Cascadia Metals Ltd.